Fobusuniversal Iwbthe Inside The Waistband Holsters (iwb) From Fobus Are Designed To Keep A Low Profile Simulating The Natural Way To Carry A Weapon Inside The Waistband. Most Importantly They Are Universal And Designed To Accommodate Multiple Same-sized Pistols. The Iwbl Is For Large Frame Pistols The Iwbm Is For Medium Frame Pistols And The Iwbs Is For Small Frame Pistols. 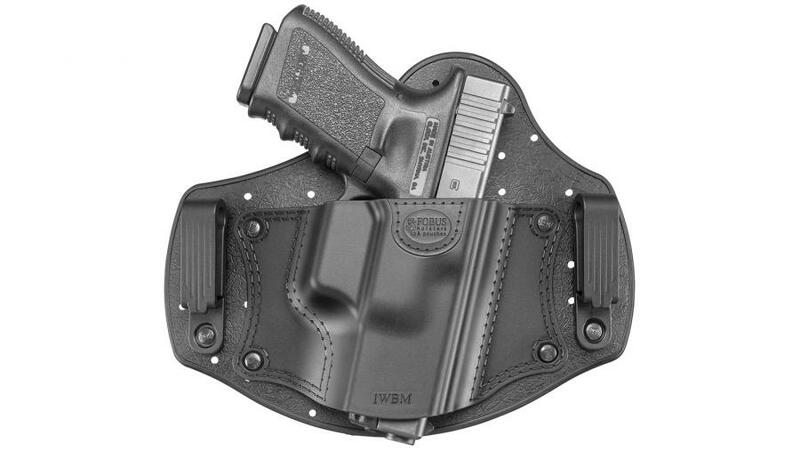 The Iwb Holster Requires No Shell Replacements When Changing Between Pistols Of The Same Or Similar Size. The Holster Is Constructed Of A Flexible And Ventilated Backing A Non-collapsing Polymer Shell That Covers The Pistol And Two Belt Clips To Position The Holster At Waistband Height. They Are Lightweight Completely Washable Durable And Comfort- Able. Retention Is Achieved By Pressure From The User’s Belt Applied To The Holster Shell When Worn On The Body And The Flexible Non-slip Surface Of The Holster Backing. Low Profile Contour Design Offered In S M And L.